MAG Property Development CEO Talal M Al Gaddah presenting the flagship MAG of Life project at Cityscape 2016 Dubai. 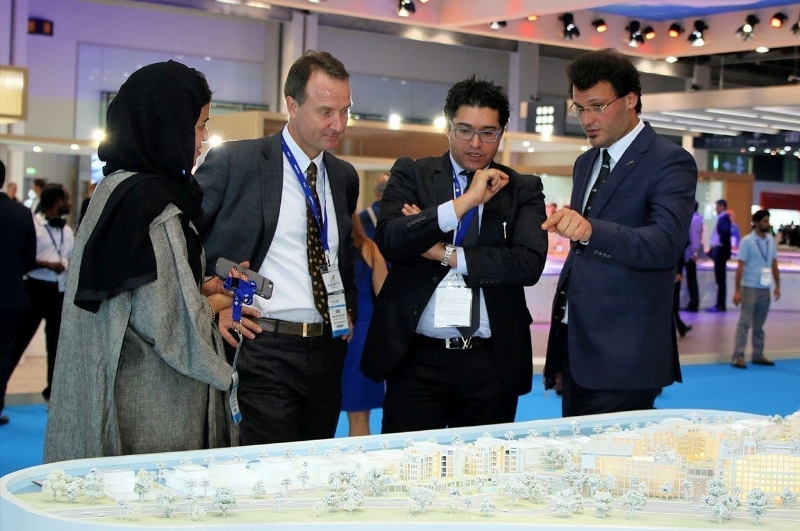 DUBAI, UAE: PRNewswire: MAG Property Development (MAG PD), the real estate development arm of MAG Group, has identified the importance of health and well-being in the homes we live in, and plans to incorporate these principals into a new product offering of residential homes in the UAE. A new division called MAG of Life will focus on space, air, light and ergonomics in the built environment. These are essential elements towards improving quality of life, and will be applied to a emerging sector which MAG has identified as the future of residential property. The MAG strategy comes in response to increased consumer focus on health and wellness, with due consideration paid to the fact that people spend up to 90% of their time in their homes. MAG PD analysis indicates that the global growth of the health and wellness market within the consumer healthcare segment is worth $502 billion and is forecast to grow over the next five years. The launch of MAG of Life makes MAG the first mover in the health and wellness construction sector. The MAG of Life division will be committed to creating awareness and educating people on the deficiencies in their homes which can impact their health and wellbeing. MAG PD will work with all parties to improve the health and wellness of people across the region. Al Gaddah confirmed that plans were underway to announce the details of the first project before the end of 2016, with the implementation of health and wellness programming by a soon to be announced partnership with a world class organization that has invested over 6 years of research into the development of solutions that address these principals. MAG Property Development is the real estate development arm of Moafaq Al Gaddah Group, one of the region’s largest corporate entities. MAG Group encompasses more than 50 companies with activities spanning numerous sectors, including commercial, real estate, services, industrial and pharmaceutical. MAG Property Development focuses on projects that deliver long-term benefits to investors and customers, and has a current real estate project portfolio in excess of US$ 5 Billion. The division is spearheading MAG Group’s ambition to be at the forefront of the region’s real estate industry through its dedication to the group’s corporate philosophy of innovation and continuous improvement. MAG Property Development aims to be a leader in the real estate construction industry, by employing the highest of standards to make a difference in people’s lives. MAG Property Development is committed to MAG Group’s code of ethics that base its business practices on honesty and integrity – uncompromising principles that are reflected at every level of its operations.